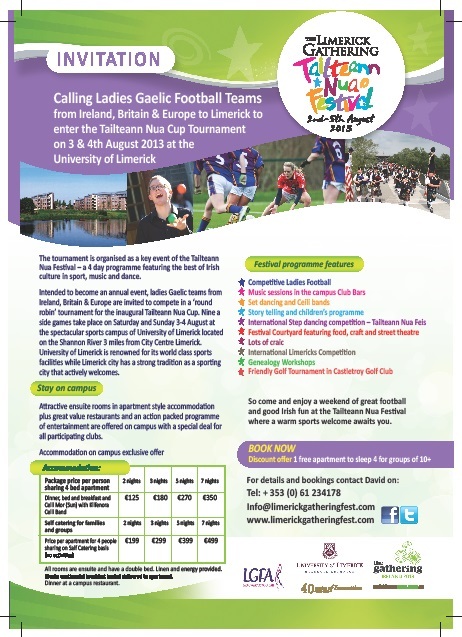 The University of Limerick is hosting the Tailteann Nua Cup on the 3rd & 4th August for teams from Ireland and abroad, wishing to take part in a 9-aside competition. This 'FREE to Enter' tournament is a key event of the Tailteann Nua Festival (2nd - 5th), featuring the best of Irish culture in sport, music and dance. 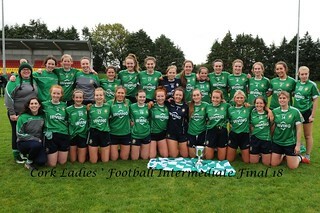 Full details of the festival can be found on - http://www.limerickgatheringfest.com/ The 2 day tournament will run from 11-5pm (Saturday) and 11-3pm (Sunday). The University has excellent sporting facilities, and great entertainment and accommodation deals are being provided. 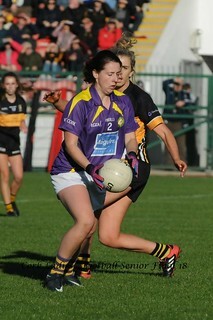 To enter, please submit your panel of players to mary.corry@ul.ie. ENTRY is FREE! Closing date for entry is Friday 12th July.